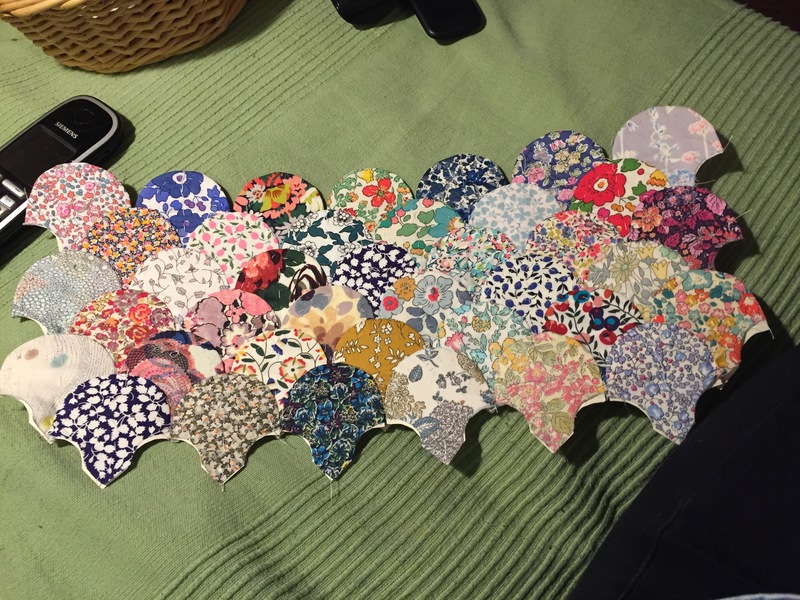 I recently made some Christmas presents, and decided to try English paper-piecing in a clamshell pattern, which was pretty tricky. 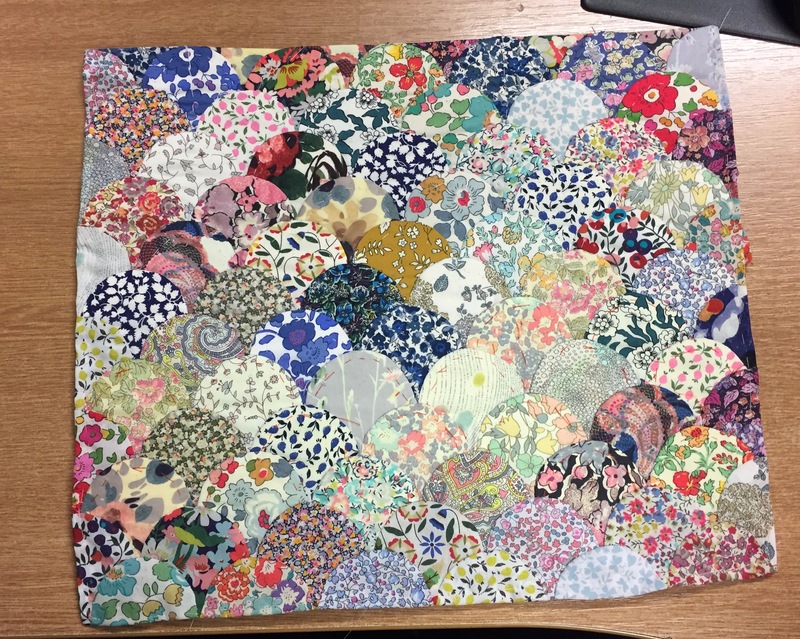 Here is the method I perfected, as projects go it was a bit too time consuming, even for me. 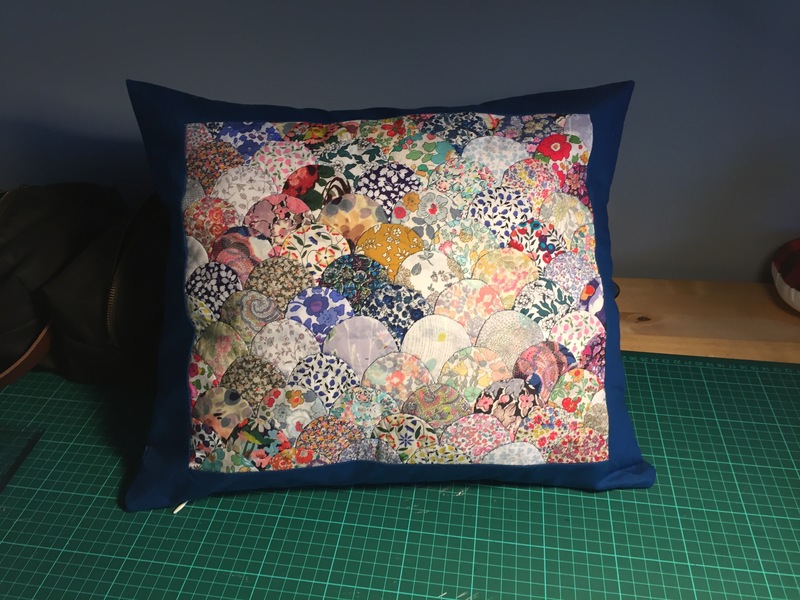 The result was really pretty but a medium sized cushion took A LOT of work – it was a lovely present for my mother-in-law, but not one I think I’ll repeat soon. So first off, I bought a 2″ acetate clamshell template and traced the paper pieces, removing the seam allowance from the upper curve. Then I cut out my pieces of cotton, keeping the seam allowance throughout. 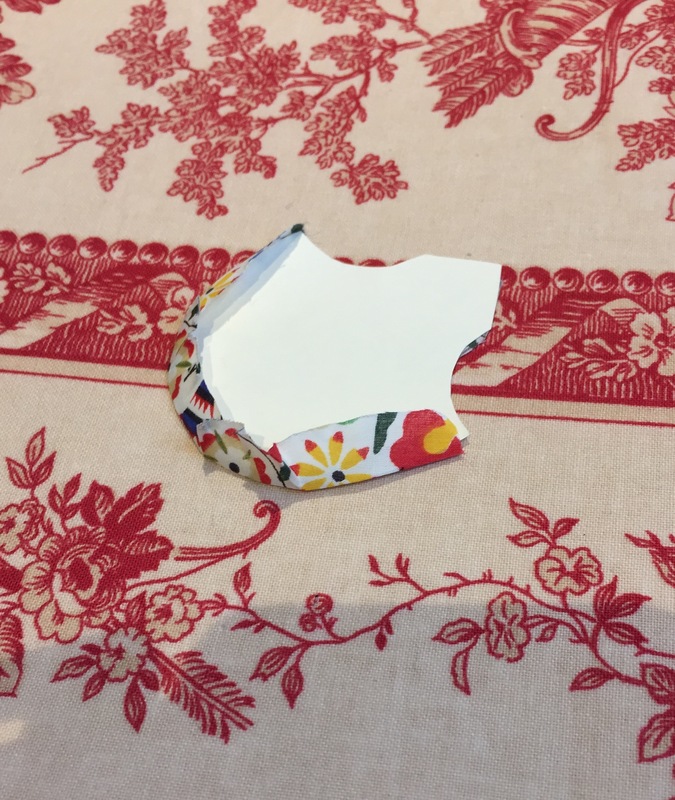 I used normal kitchen foil to achieve a smooth upper curve which worked best, making sure that the seam allowance was distributed evenly. 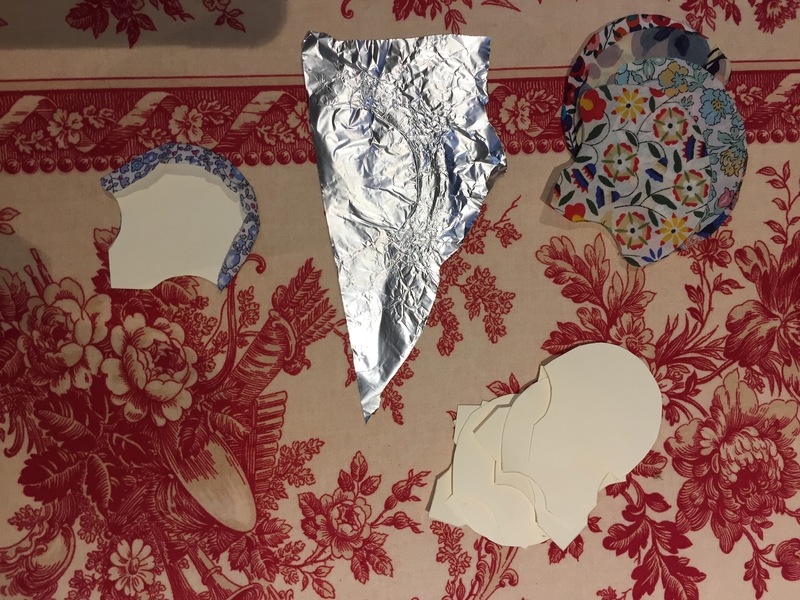 After pressing all the pieces, joining them together is pretty easy – all you need is patience and a sharp needle. 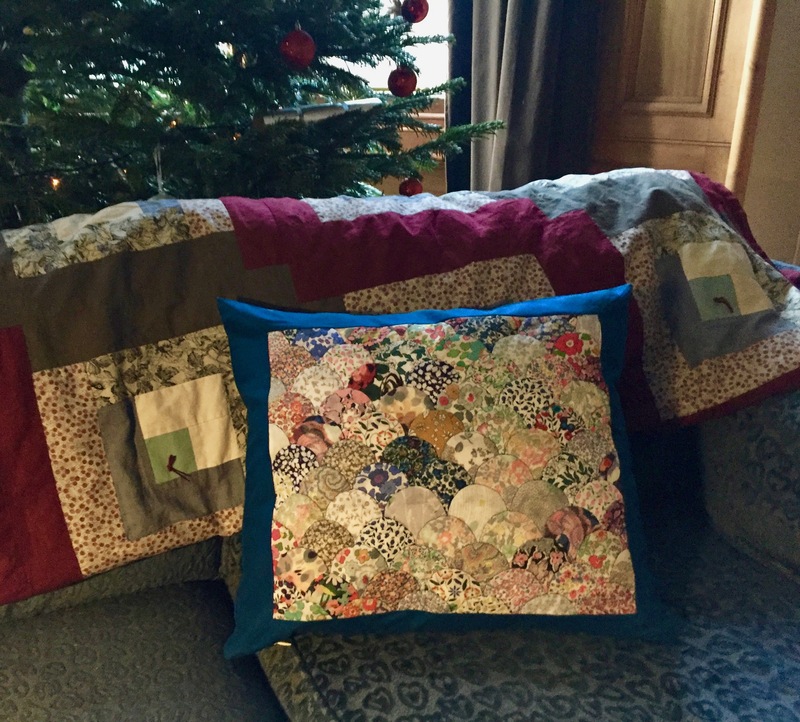 After I finished joining the pieces, I free-hand quilted the clamshells along the top line on my sewing machine, bordered it with mitred corners, and inserted an invisible zip. Voila.